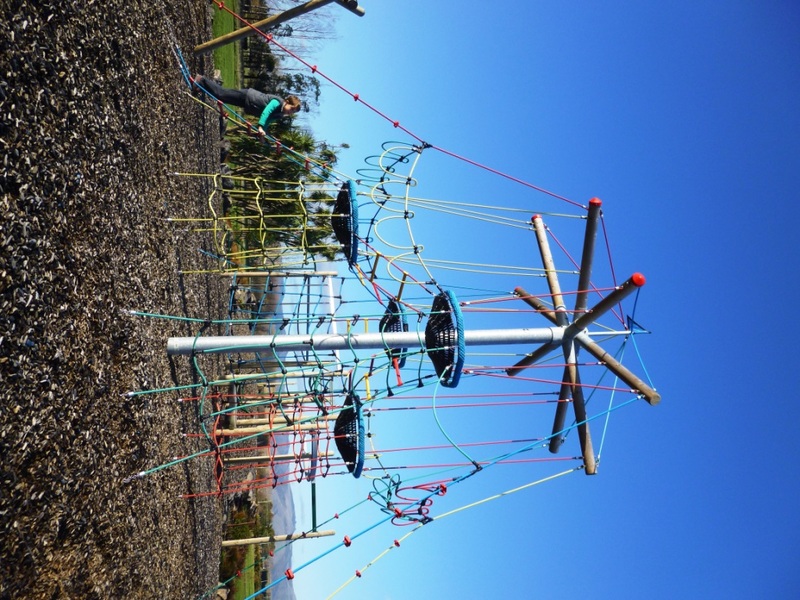 Rosemerryn playground is rather flash – it has modern play equipment, a flying fox, challenging climbing frames, smooth paths for little bikes and scooters, and even a creek with a bridge. There aren’t any toilets or rubbish bins here. We visited Rosemerryn playground in June 2015 (winter). From here, it’s a really short drive to the Lincoln Wetland stepping stones – highly recommended. From Edward Street, turn left into Eastfield Drive, then right into Poulter Road. Also look our for Prebbleton Nature Park on the way in to Lincoln.